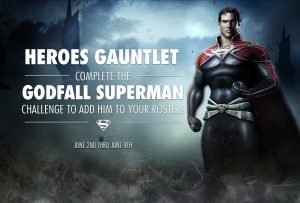 Godfall Superman originates from a 2000s story arc in the comics featuring The Man of Steel in adventures through the bottle city of Kandor. 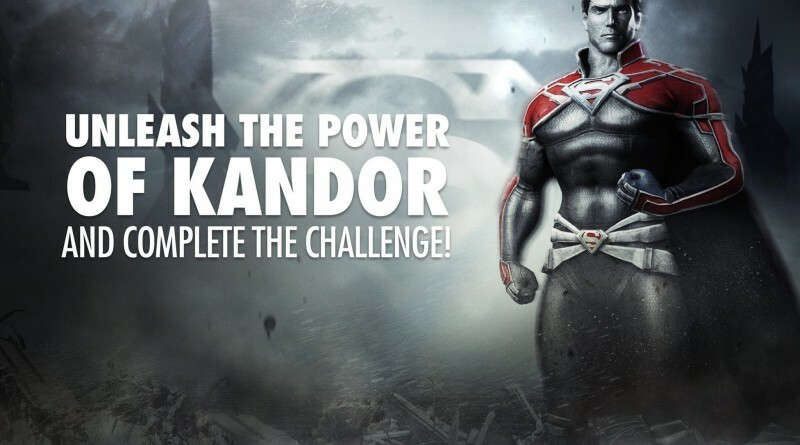 The story revolved around an amnesiac Superman living with his wife, Lyla, in Kandor. 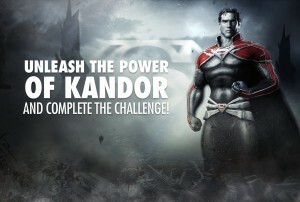 The story updated Kandor and gave Superman a variant costume, as well as introducing a new Kryptonian villain, Preus. 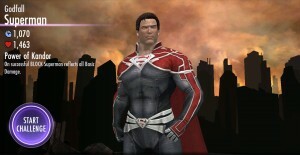 Description: On successful BLOCK, Superman reflects all Basic Damage. To beat this challenge you must have Batman, Doomsday and Lex Luthor on your team. 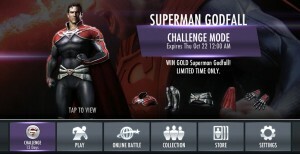 There are Bronze/Silver versions of Lex and Doomsday and Batman is one of the most common gold characters so this challenge shouldn’t be a problem even for newer Injustice Mobile players.